Okay, so it’s more of a yacht. A pretty yacht. Yelken Octuri (which is a totally badass name, in the first place) has designed a flying yacht. 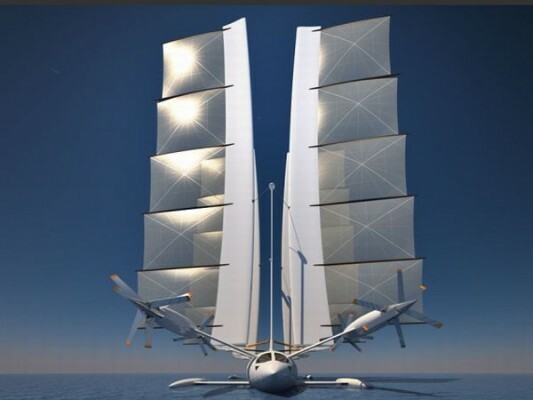 This is to say that he’s designed a vehicle that is at once a 46 meter sailing trimaran with four automatically functioning masts and a fully functional plane that transforms – on the water – and can travel at speeds of roughly 390 km/h. Take a look at the interior, and beyond being the complete world-killer in transportation, it’s also a luxury chillin’ spot.